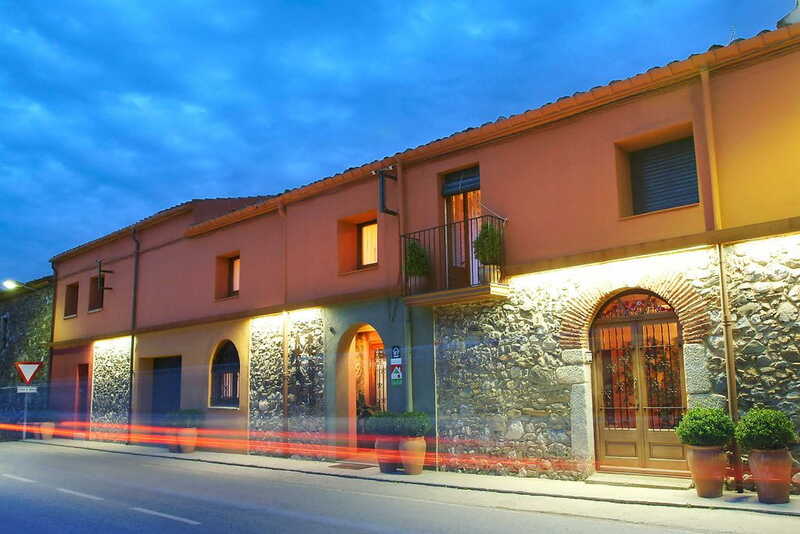 Can Coll is situated in the Albera Natural Protected Area, in the municipality of Garriguella. 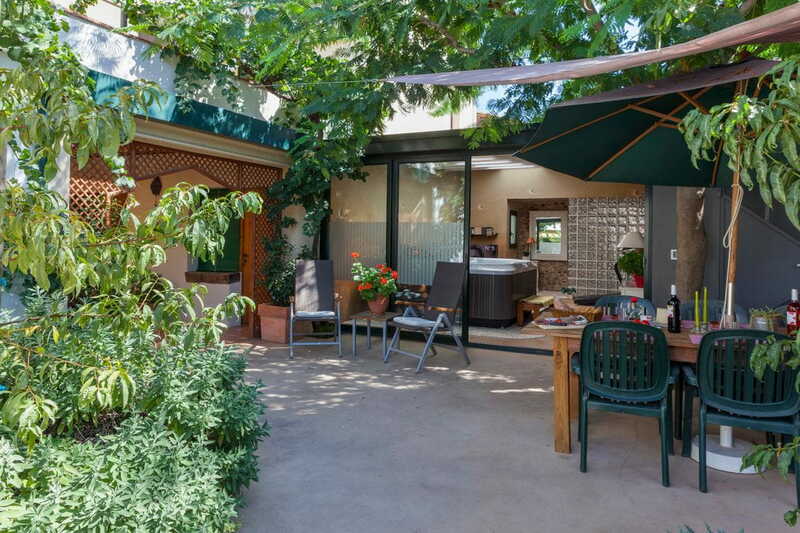 This situation gives a special climate and atmosphere to the exterior surroundings, composed of gardens, which will delight you thanks to the shades of its trees and its flowers that give a touch of colour to the area. 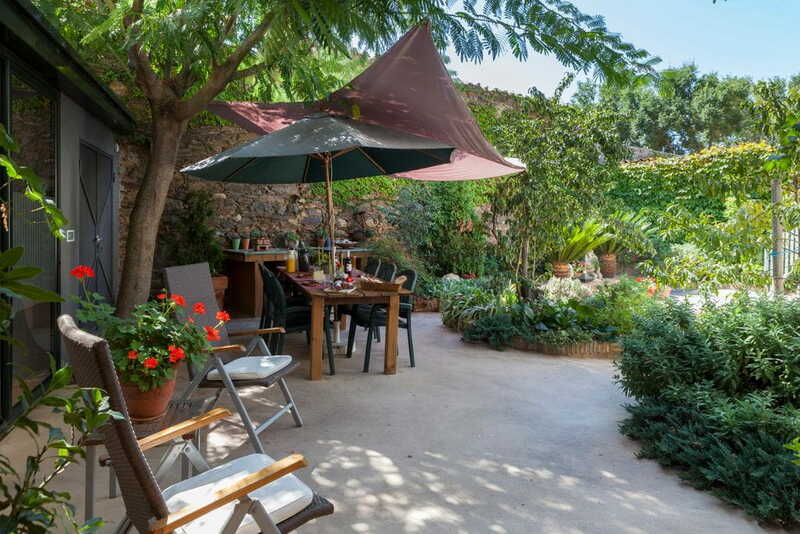 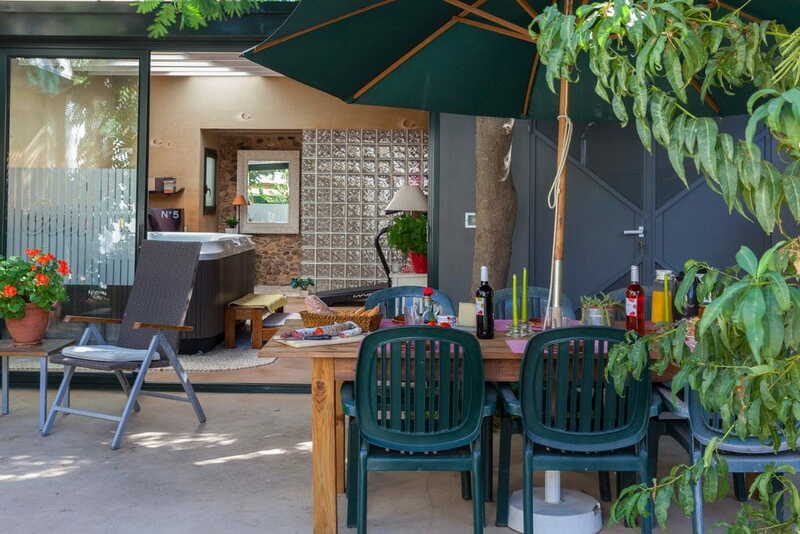 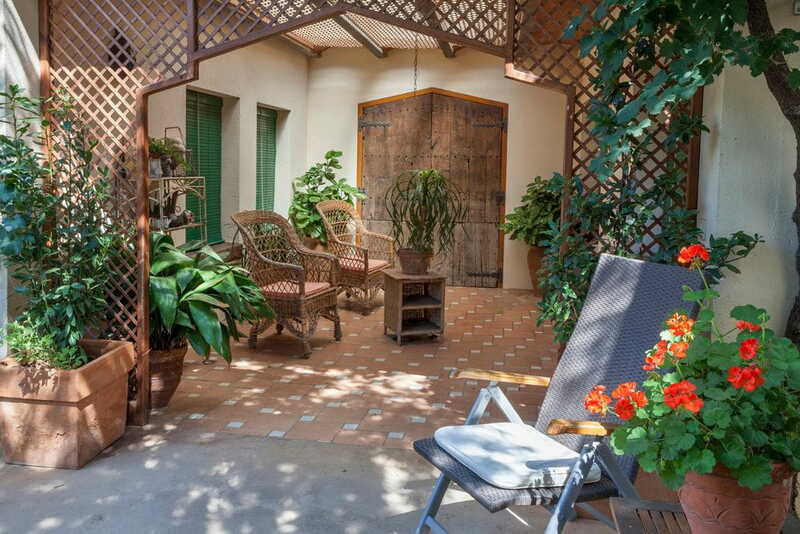 In our garden you will enjoy the peaceful surroundings while you have breakfast under the shade of the trees, read a book during the summer nights or simply relax. 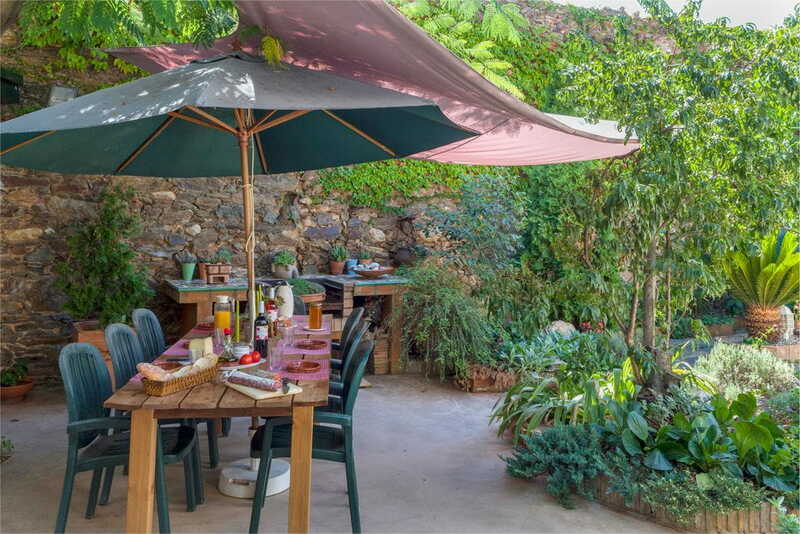 In the Can Coll Garden you will find a table with chairs, a barbeque that you can use whenever you wish and tranquility. 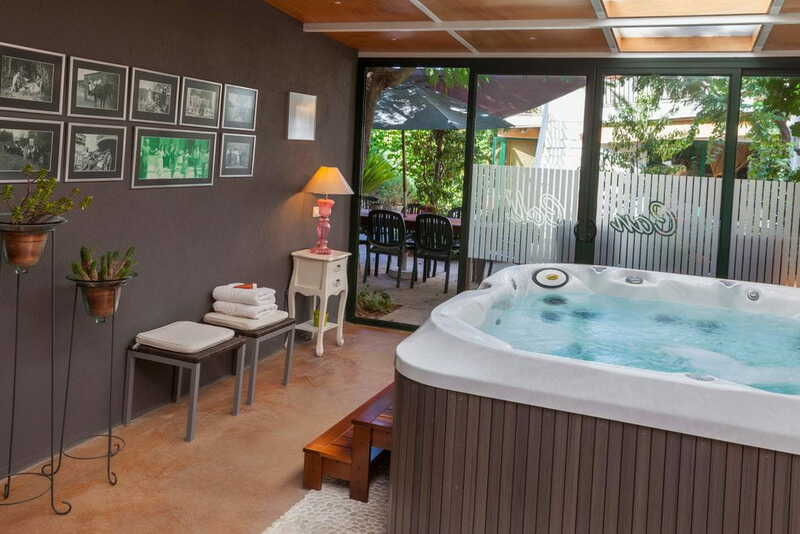 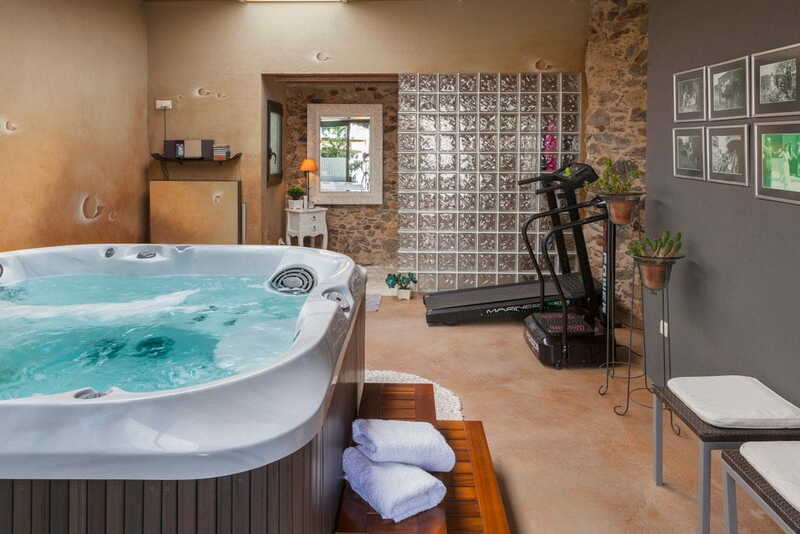 We also have a jacuzzi for six people that will be a pleasure for your senses and a great way to relax.